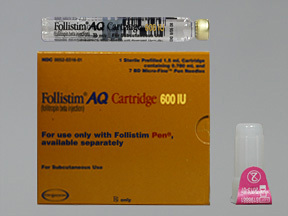 Follistim AQ Cartridge 300IU, 600IU, and 900IU. 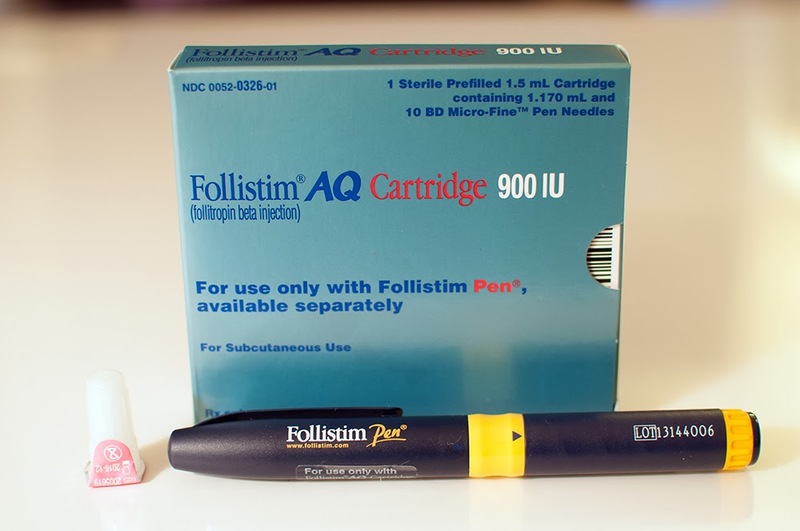 Follistim is administered as a subcutaneous injection. 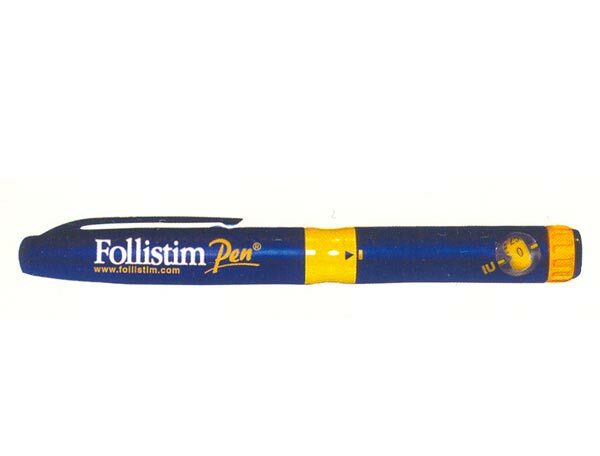 Follistim acts like naturally produced FSH by stimulating a follicle (egg) to develop and mature in the ovary. Follistim is also used to stimulate the development of multiple eggs for assisted reproductive technologies. 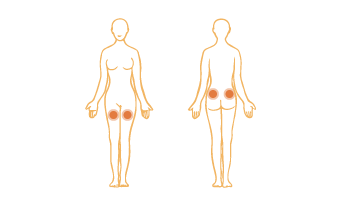 Side effects that may occur include: abdominal pain/discomfort, ovarian cysts, dizziness, flu-like symptoms including fever, chills, muscle aches, joint pains, nausea, headache, malaise, breast tenderness, dry skin, body rash, hives. Treatment with Follistim may increase the likelihood of multiple births. The risk of ovarian hyperstimulation syndrome (OHSS) should be discussed with your physician prior to treatment. Early warning signs include severe pelvic pain, nausea, vomiting and weight gain. 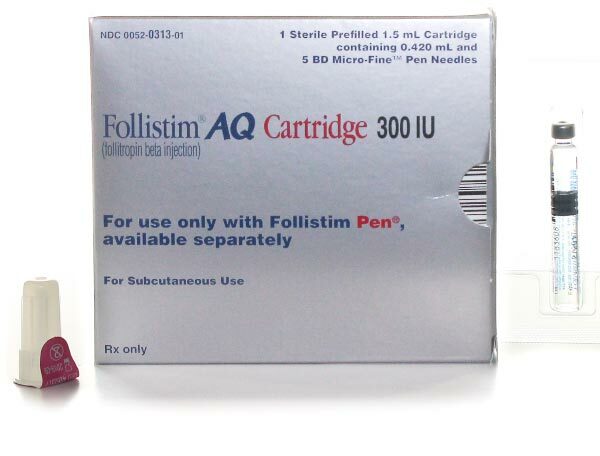 Store Follistim AQ Cartridge at room temperature for 90 days or refrigerate until expiration date. After initial use, medication can be stored refrigerated or unrefrigerated for a maximum of 28 days. Protect from light, keep container in carton. Do not freeze.